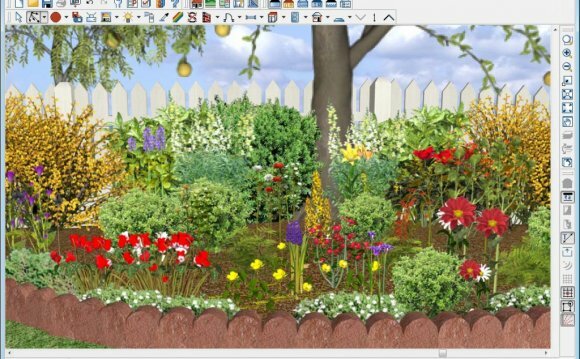 GardenSketch is design software which can help plan and lay out a garden or landscape, enabling you to visualize a garden space before any plants are purchased. GardenSketch has specialized drawing tools to make designing landscapes easy. The existing landscape can be easily entered by incorporating aerial or satellite photos. GardenSketch helps you to choose suitable plants with its search capability. It also makes buying plants and mulch easy, by computing the number of plants and/or amount of mulch required for an area. Gardensketch is currently in beta, and we are very open to suggestions which would help it to fit your garden software needs.